In Windows 10, if you’ve installed other Microsoft products, such Office, you can allow or prevent automatic updates for those products. Windows Update can provide updates for these other Microsoft products installed on your system, if you allow. By this, when your update your system, other Microsoft products installed will be update automatically. This will save your time and keep your machine safe with latest software installed. Here’s how you can configure automatic updates for other products in Windows 10. 4. Next, set Give me updates for other Microsoft products when I update Windows option to On, so that you get updates for other Microsoft products installed on machine. The setting will be applied immediately. You can now close Settings app. Let us see how to make this possible via registry manipulation. 4. 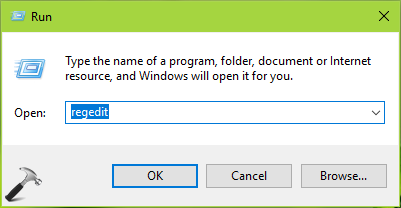 Finally, set the Value data to 1 and click OK to allow updates for other Microsoft products installed in Windows 10. Close Registry Editor and reboot to make changes effective.